Edna has cooked up some spooky prizes, and is handing out goodies to trick-or-treaters everyday until November 1st. 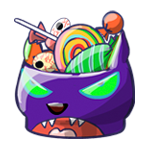 Visit the Spooky Surprise each day to collect a spooky treat. Edna's Spooky Surprise will last from October 8th to November 1st, 2009. Since there are Neopoint prizes, please do not participate in this on your side account. 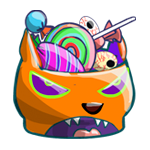 You can collect one free prize every day until the end of the Edna's Spooky Surprise event. You might receive an item or some Neopoints. Simply visit the Spooky Surprise page to claim yours! You can also send game scores 5 times a day on the following haunted woods games: Carnival of Terror, MAGAX Destroyer II, Korbats Lab, Snot Splatter, and Bruno's Backwoods Breakaway. 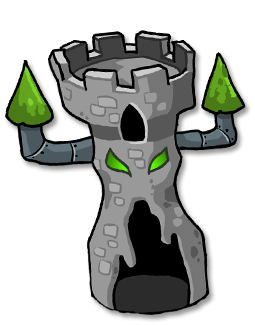 Complete the 3 Haunted Woods Quests for the Brain Tree, Esophagor, and Edna for a bonus prize. This prize is still active and can be received by completing all 3 quests. It can be received only once, though.